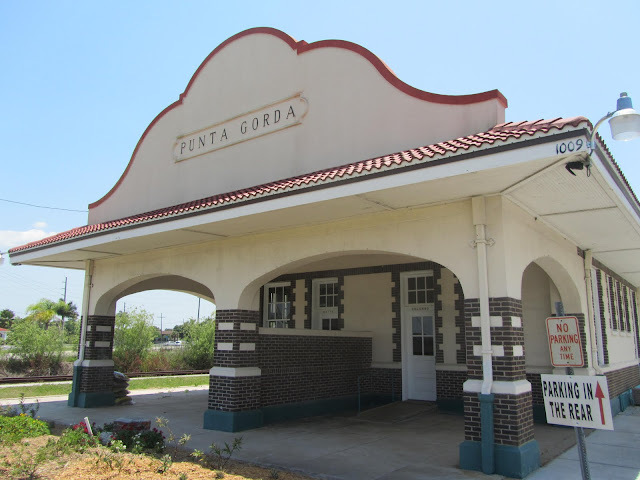 The Punta Gorda Train Depot is the only surviving depots of six built by the Atlantic Coast Line in Mediterranean Revival style. Constructed in 1928, the depot which is listed on the National Register of Historic Places, was designed mainly to handle freight. The passenger area occupies a small portion of the northern end of the building. Separate ticket windows, waiting rooms and bathrooms reflect the segregation practiced at that time. It now houses an Antique Market.